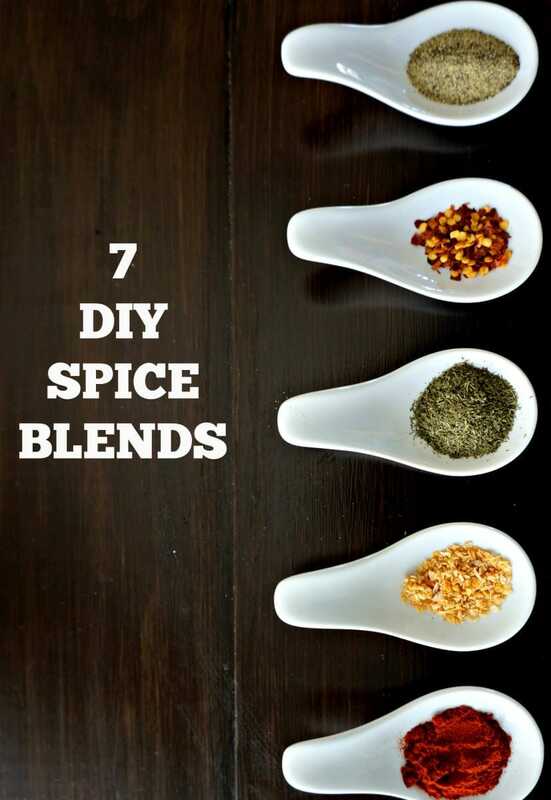 DIY Seasoned Salt: The perfect blend of spices make up homemade seasoned salt. This easy recipe will jazz up any recipe. Leave out the salt for a copy-cat version of Salt-Free All Purpose Seasoning. You know that little bit of magic you taste in so many restaurant dishes? Well, it happens to come from the fact that many restaurants do not use plain salt, they use seasoned salt. It truly does add more than one dimension to a dish and leaves your taste buds craving more. Seasoned salt sold at most stores contains tables salt, herbs, spices and often monosodium glutamate–YUCK! BUT it does add more flavors to dishes, thanks to the addition of herbs and spices added to the table salt. By making your own homemade seasoned salt, you can achieve the same enhanced flavor store-bought seasoned salt offers, by simply mixing together a few staple spices. When should you use seasoned salt in recipes? Seasoned salt adds SO much flavor to a homemade dish. This salt blend can be used on just about anything, from potatoes, to soup, to casseroles. I find that adding it to Broccoli Cheese Soup or Ham and Bean Soup adds a layer of dimension that can not be replaced with regular salt. Omit the salt and you have a salt-free all-purpose seasoning for mere pennies. Homemade blend of seaosonings that perfectly replicate seaoned salt. Store in air-tight container for up to 6 months. 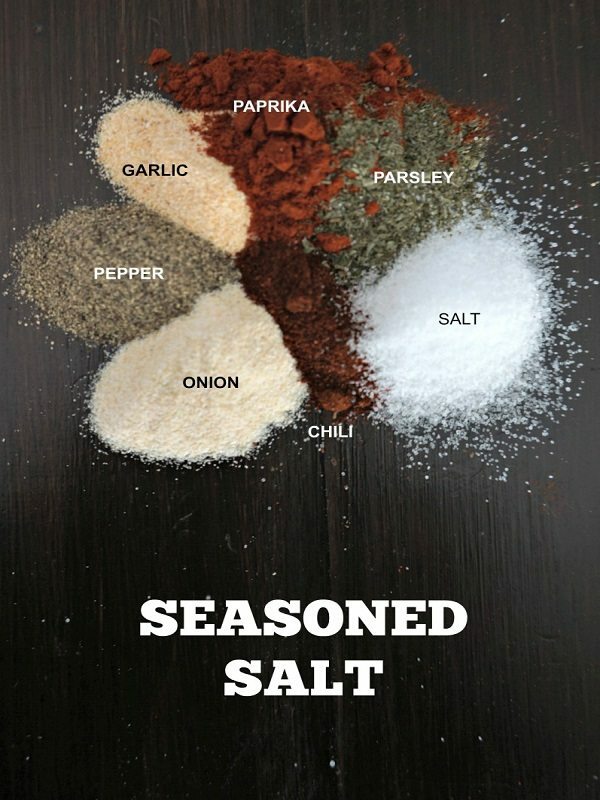 Omit salt for homemade salt-free seasoning. Oh my goodness Debi–great catch! Silly me! The recipe is updated. It is in fact parsley, not oregano. If you don’t care for parseley sub in oregano, just leave it out and the recipe works perfectly. I just like the added savory flavor! No I like oregano, I just wanted to make sure is all. Love your website. This is such a neat idea. I’ve always wanted to try seasoned salt but I could never find a way to make it. But now I can! Thank you so much! YAY!! I am so happy to help you with this recipe! I hope you enjoy! I love this so much! So much better than buying it at the store! I am SO glad you agree with me Tayler. I’m super excited about this recipe. I use seasoned salt in everything, and it never once occurred to try making my own! This recipe is SURE to save you money and taste just as delicious!